Hi, I’m Stacey and I am a Disney Addict! I live in Orlando; and yes we moved here to be closer to Walt Disney World. I was born and raised in Los Angeles, and I have loved all things Disney ever since I can remember. I have had an annual pass to a Disney park for more than 25 years. I met my husband at Disneyland, we were married at the Grand Californian, and honeymooned at Walt Disney World. 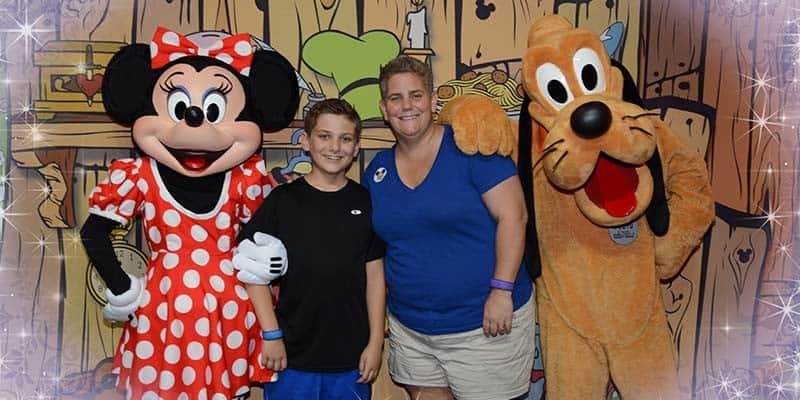 Our son has grown up going to Disney just about every weekend of his life. So Disney runs in our family. My first trip to Walt Disney World was in 2000. I remember excitedly planning everything from hotels to dinner reservations. It helped that I was traveling with a friend who had been there before. They were able to make sure we checked off all the big boxes and avoided any major mistakes. After that I traveled to Walt Disney World on a regular basis until we decided to take the plunge and move to Florida ourselves. Over the years we’ve stayed at nearly every resort from Value, to Moderate, and Deluxe. I’m a frequent visitor the the parks and my husband writes The Disney Blog (link: http://thedisneyblog.com), so we’re always up to date on the latest changes and aware of changes that may be coming down the line. I believe that each Disney vacation is a unique magical experience no matter where you stay or what your budget is. I can help you check off all the boxes that make for a dream Disney vacation or do the work for you. Attention to detail and a friendly customer service focus are my specialties. Like all Pixie Vacations agents, I’m Disney authorized and my services are free! It won’t cost you a penny more than if you booked it yourself, but you will get my time saving assistance, and I will keep an eye on your reservation for any new Disney discounts that might reduce your cost. I can plan for groups, special events, and cruises as well as other destinations. Believe it or not, some people occasionally like a little non-Disney fun in Orlando and beyond. I decided to become a Travel Agent to share my love of Disney with others. I can’t wait to share my passion and knowledge to help you plan your next Disney vacation. Please contact me at StaceyF@pixievacations.com or select Stacey Frost when requesting a Disney vacation quote.